You know, I don’t mind that it has iDrive this time, or that it’s built in Austria. 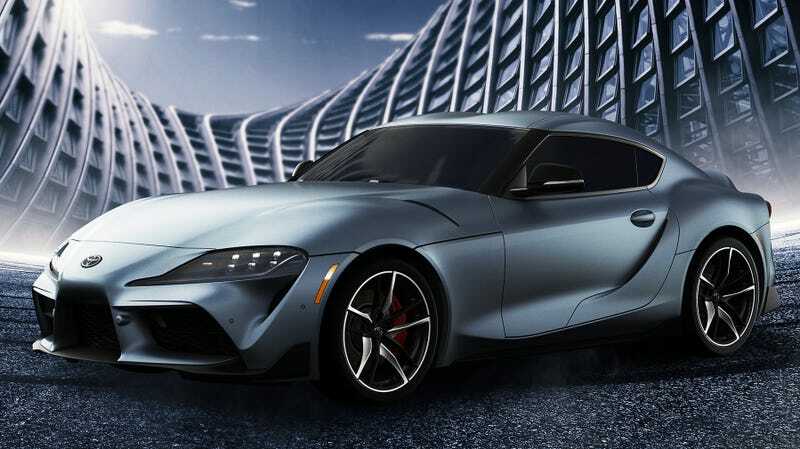 I’m into the new 2020 Toyota Supra and I’m eager to drive it. Let’s ogle a bunch of photos from Toyota. Today sees the global public release of the new Supra at the Detroit Auto Show after basically a decade of concepts, teases, leaks and spy shots. It’s a big deal, and comes back to the party with a 3.0-liter turbo inline-six engine packing 335 horsepower, although the motor and kit are all BMW-sourced this time. Does it matter? To some, but I say the more sports cars out there, the better. We’ll have more from the show floor today, including live pics and video. But for now, is the new Supra’s design a win or a misfire?